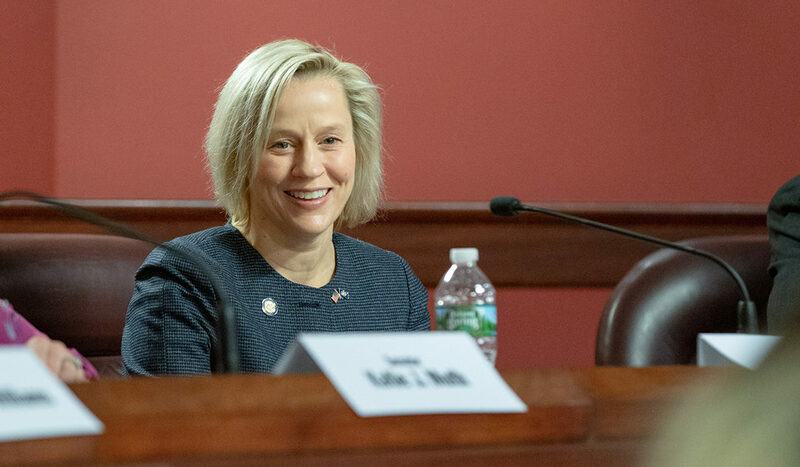 Harrisburg – February 4, 2019 – Senator Maria Collett announced today that she has been appointed to the Senate Judiciary Committee. This announcement comes in light of Senator Daylin Leach’s decision to step down from the Judiciary Committee amid allegations of sexual misconduct. Senator Collett is a lifelong advocate for people in need. She began her career as an attorney representing the interests of children victimized by abuse and neglect as a Deputy Attorney General in Camden County, New Jersey before transitioning to a career in nursing. She has a BA in English Literature from the University of Maryland at College Park, a JD from Rutgers University School of Law and a BSN from Drexel University. Senator Collett also serves as the Minority Chair of the Aging & Youth Committee and is a member of the Appropriations, Consumer Protection & Professional Licensure, State Government, and Veterans Affairs & Emergency Preparedness Committees.